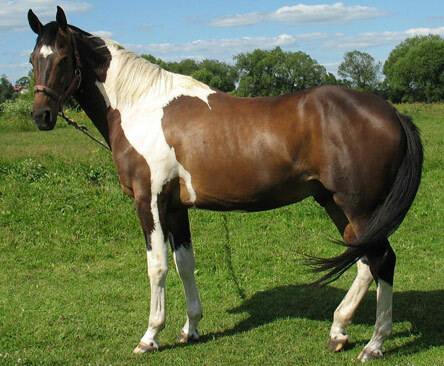 The paint is a performance type color breed and are bred exclusively to keep their spotted pattern. Crosses to gaited, pony or draft breeds are not recognized by the registry, only Thoroughbred or Quarter Horse blood is allowed. The first paint horses in American are thought to have been brought over from Spain, where record of their existence stretches back to 700 A.D. 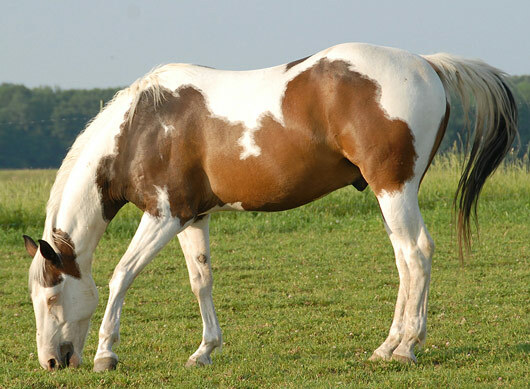 These spotted horses were prized by Native Americans and among the early cow ponies and stock animals of the 18th and 19th centuries. 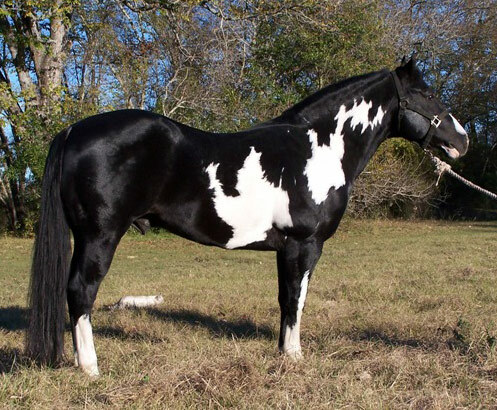 Today the paint horse is heavily influenced by Thoroughbred and Quarter Horse blood, creating a versatile and intelligent animal. 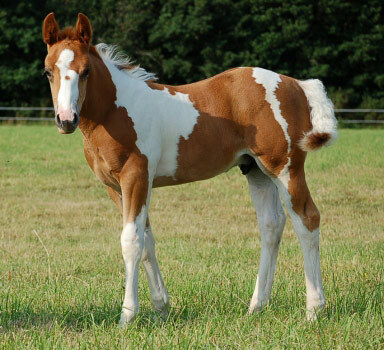 Breeding is based on American Paint Horse Registry (APHA), American Quarter Horse Association and Jockey Club Registry requirements.